KINTYRE: At Strath (Laggan) floods – a Whooper Swan, 10 White-fronts and a Pink-foot Goose plus 88 Lesser BB Gulls. 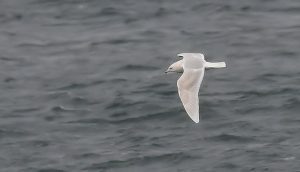 At Machrihanish SBO- a 3CY Iceland Gull >S, 5 Whimbrel >N and 6 White Wagtails on the point (Eddie Maguire). In Kintyre – 7 noisy Common Sandpipers and 6 noisy Sandwich Terns (2 at Kennacraig) also, a Little Egret and a Greenshank at Kennacraig, lots of Willow Warblers and the odd Chiffchaff here and there and 19 White-fronts still at Tayinloan (Neil Hammatt). MULL: A drake Shoveler at Suidhe Farm, Bunessan – scarce on Mull (Tony Jefree per Alan Spellman). MID-ARGYLL: Some recent notes for Mike Harrison in Connel – Willow Warbler – 2 on 11 Apr, plenty around on 18 Apr, Blackcap – possibly 1 on 16 Apr, definitely 1 on 17 Apr and 2 on 18 Apr, Chiffchaff 1 or 2 on 18 Apr and Cuckoo – 1 on 18 Apr. 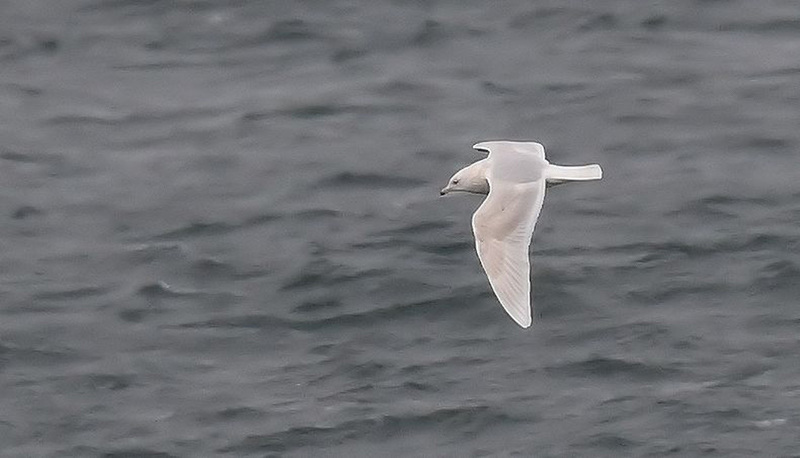 Iceland Gull – MSBO, Kintyre 18th Apr (Eddie Maguire).